NEWS: 04/28/04 - The secure on-line shopping cart is under construction at this moment for the purchase and immediate download of your selections. In the meantime, you can still purchase any of the models below by sending me an email listing the models you want by name. Please be specific. At this point, all payments are to made through PayPal. Just click on the PayPal link on the right, list the items you want, and make payment. When your payment has been made and verified, the models will be emailed to you in .zip format. If any textures and bumps accompany the model(s), they will be included in the archive. The archives were created using WinRAR Archiver. I check my email and PayPal several times every day so you will never have to wait more than 24 hours to get your order filled. 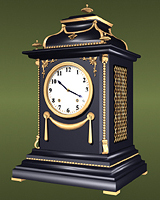 Reconstructed from photos found on the web, this 1852 mantel clock is 95% accurate. The real one can be had for a mere sum of $7331.34. You can buy this one for a lot less. 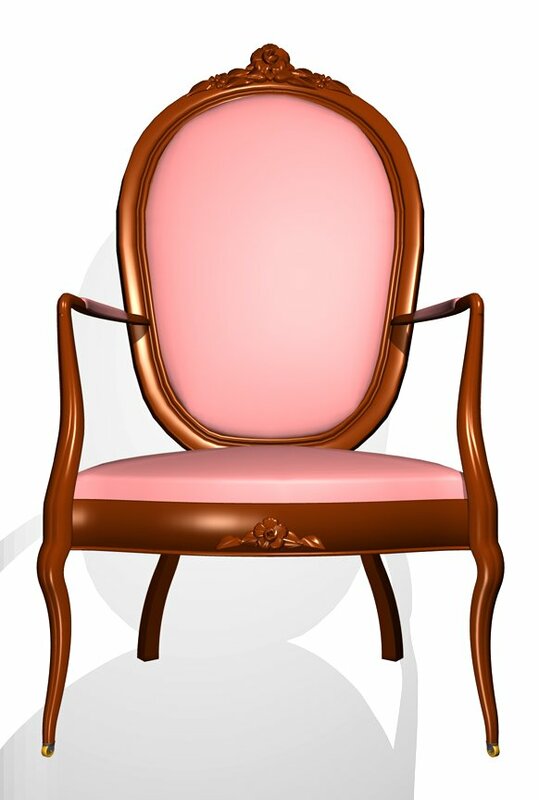 A digital reproduction of a Victorian Rococo chair that I have in my parlor. I had a lot of fun making this model. It doesn't have any nicks or scratches like the real one. 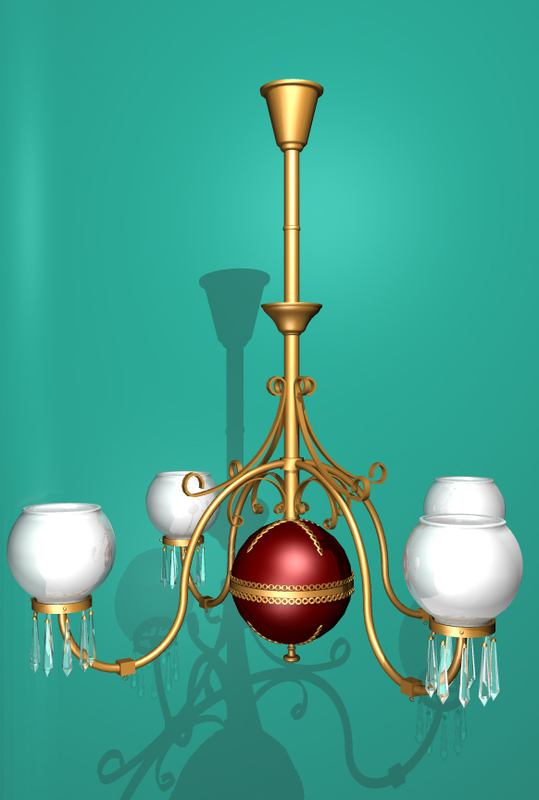 I combined the features of three Victorian chandeliers I have in my home to create this model. 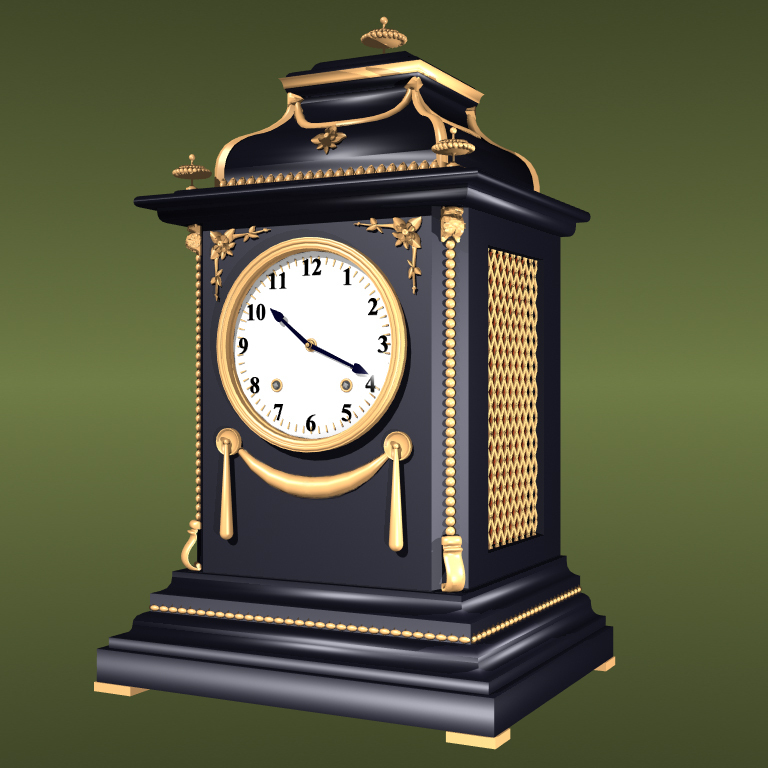 Don't forget to download a ceiling medallion for it from the Free Models section. 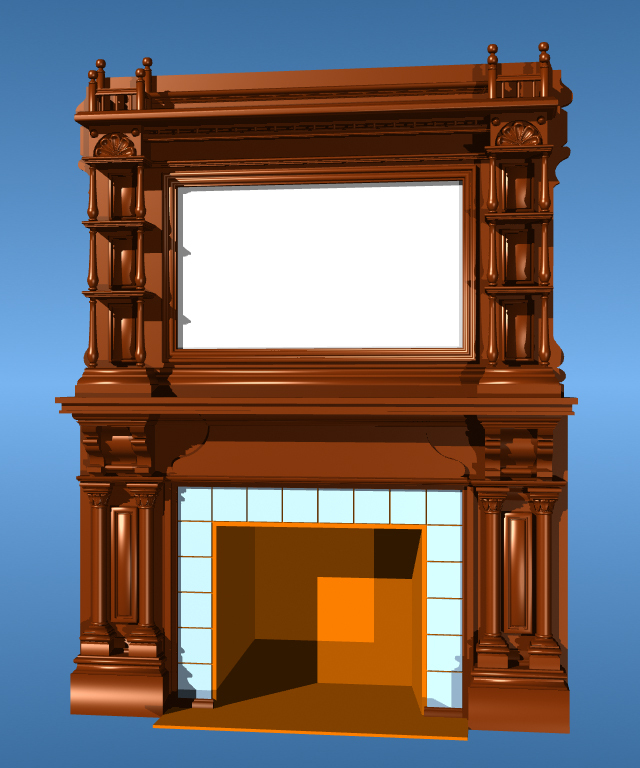 This model is a 95% accurate representation of a fireplace mantel and over mantel crafted from drawings found in the 1881 edition of Modern Designs and Details published by William T. Comstock, Architectural Publisher, New York. Consisting of two separate files, the mantel and over-mantel have a combined polygon count of 74,843 polygons. 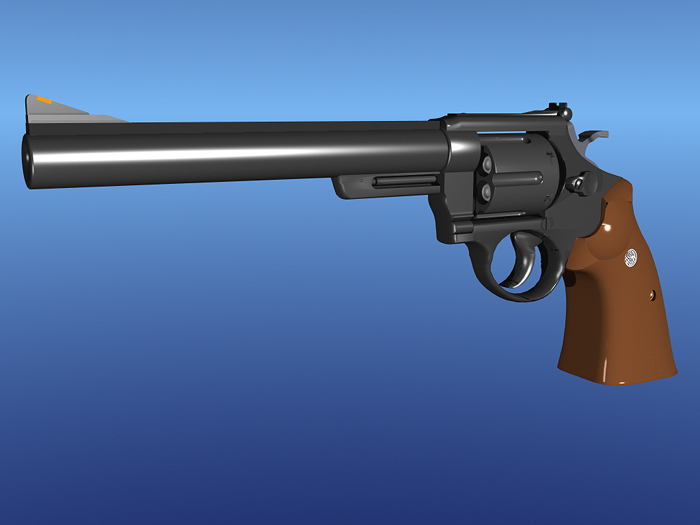 Reconstructed from photos seen on the Colt's Manufacturing Company web site, this model is as accurate as you can get. The barrel on this one is chambered for the 7.62 mm NATO cartridge. "The .44 Magnum". Undeniably the most famous handgun in the world, this model is accurate right down to its .400" target trigger and hammer. I've had a great fascination with this firearm since I first saw it in the Dirty Harry films.